By now you’ve probably seen Guardians of the Galaxy a few times and did you wonder who that lovely woman was standing next to Glenn Close? It was Mikaela Hoover! If you went into Guardians of the Galaxy this weekend not knowing about Dave Bautista, chances are you now want to know more about him! Guardians of the Galaxy burns with the promise of watching incredible exploits in worlds far, far away, and the movie isn’t afraid to get weird while also remaining approachable. 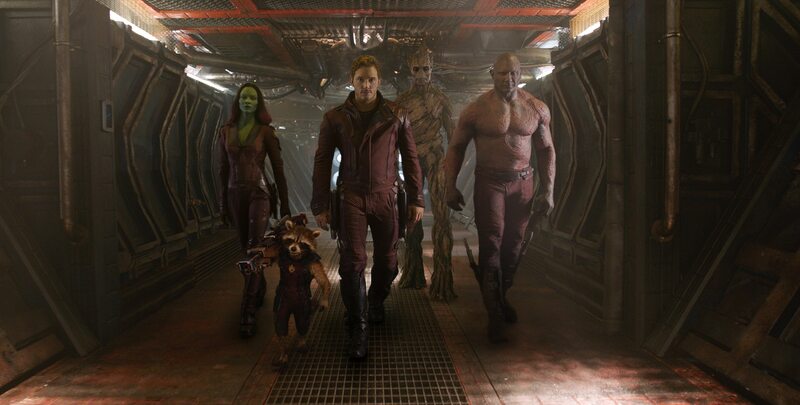 GUARDIANS OF THE GALAXY New Trailer: Hear Groot and Rocket Talk! Guardians of the Galaxy dropped a brand new trailer featuring Peter Quill aka Starlord and even a few words from Groot and Rocket Raccoon. After much anticipation, Marvel’s Guardians of the Galaxy trailer is now live. Watch it and catch new stills here.